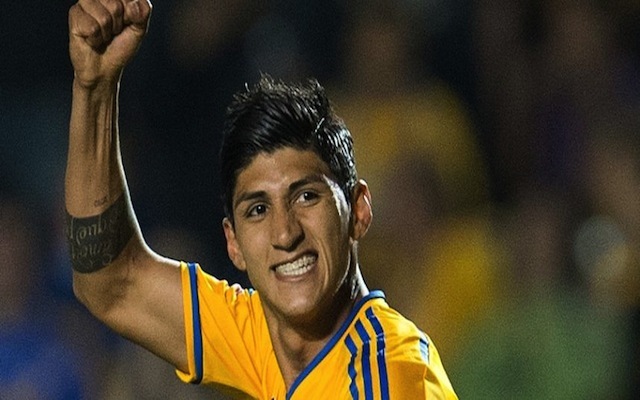 Former Tigres UANL striker Alan Pulido has lost his appeal to the Court of Arbitration for Sport (CAS), meaning his future remains murky. The 24 year old striker, who enjoyed a stunning season in the Liga MX in 2013-14, was part of Mexico’s 2014 World Cup squad in Brazil last summer and was expected to go on to achieve great things. After the World Cup he got embroiled in a contract dispute with Tigres. They claimed he had signed a deal to stay at the club until 2016, whilst the player claimed he had no knowledge of the deal, saying the signature had been forged, and asserting that he was a free agent. He eventually went AWOL, and signed a deal with Olympiakos’ sister club Levadiakos in January. This summer things got even more confusing; Tigres sold his rights to fellow Liga MX side Chivas, while Levadiakos transferred his rights to their parent club. It doesn’t look like today’s ruling will make anything any clearer. The case is set to rumble on and on.